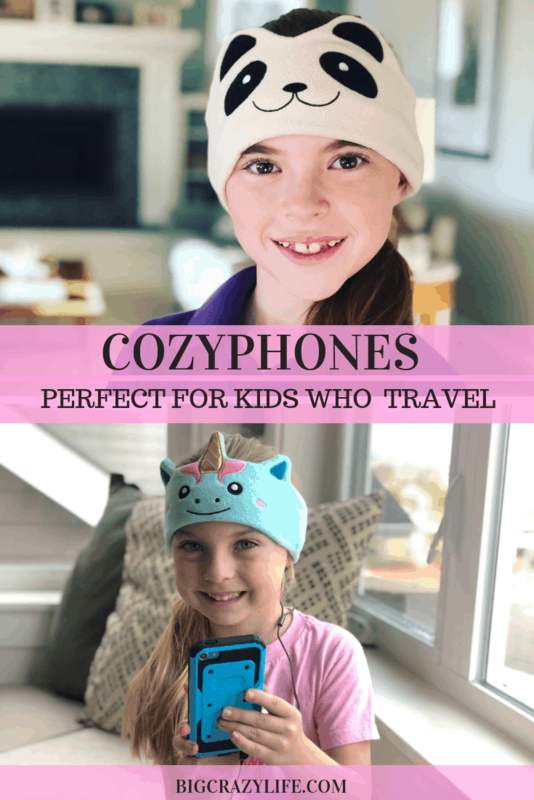 CozyPhones are the new parent best friend and space saver for those of us who love to travel and need the extra space. We love them because they are really lightweight and washable. This past summer we took a three week trip to Europe. Each girl had her own backpack to carry. One of the biggest space stealers was the iPod and headphone case. Both a necessity as we were going to be taking an 18-hour train ride without internet. We managed just fine, but had we known about the CozyPhones beforehand, we would have made sure we had them with us. We’re so excited CozyPhone sent us these headbands to try out for our next trip. 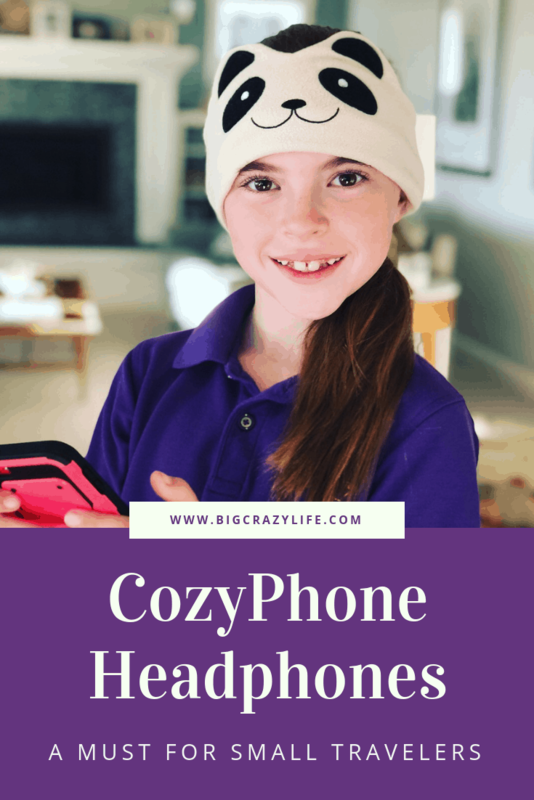 CozyPhones are the new parent best friend and space saver for those of us who love to travel and need the extra space. We love them because they are really lightweight and washable. The speakers are easy to remove making them easy to toss in the washing machine for cleaning. They come in ten different styles and are extremely affordable. They even have Paw Patrol themed headbands. Even before I showed my kids the many different options, I knew which ones they were going to pick. One would pick the unicorn and the other would grab the panda. For me, the best feature is how small they fold up and weigh next to nothing. I could even put these in my handbag since they’re so portable and lightweight. I really don’t need to though because these fit in their backpacks with ease. Now my girls can wear these on long flights and now worry about falling asleep with their headphones on. The can take them off and on easily and we don’t have to worry about them getting crushed along with everything else in their bag. I wonder how many more we’re going to have to stuff in our bags. The unicorn? Adorable! CozyPhones are also available on Amazon and well as CozyPhones.com. Growing up Goofy is... Growing! Why do Girl Scout cookies have different names? We have these for our boys and they are game changers for travel! So comfortable. I honestly can’t believe I did not know about these sooner! I forsee buying many more.